International music legend Engelbert Humperdinck will celebrate with Pinoy fans his 50th anniversary in the music industry with an array of classic love songs and romantic ballads when he returns for a live concert on November 28 at the Smart Araneta Coliseum in Cubao, Quezon City. The pre-Christmas presentation from Ovation Productions is part of a three-city concert series that also includes shows on November 23 at the LausGroup Event Centre in San Fernando Pampanga and November 30 at the Alonte Sports Arena in Binan City, Laguna. It is part of the Asian leg of “Engelbert Humperdinck 50th Anniversary Tour,” a global touring celebration of half century of the successful musical career of a singer considered as one of the hottest male pop idols of the ‘60s. Engelbert Humperdinck’s passion for music drew inspiration from a life lived with a love for music that started at an early age when, as Arnold George Dorsey in Leicester, England, he began studying music and playing the saxophone at the age of 11 and discovered his vocal talent for impersonation at 17. With the outrageously memorable name of Engelbert Humperdinck (after the Austrian composer of the 19th century opera, “Hansel and Gretel”), and with his deep voice and thick sideburns, he burst into the music scene in the ‘60s along with The Beatles, The Rolling Stones and Tom Jones, and was catapulted almost instantly to the status of world icon. During the next four decades, he has generated record sales in excess of 150 million records, including 64 gold albums and 24 platinum albums, and won four Grammy Awards, a Golden Globe award and a star on the Hollywood Walk of Fame. Five years later, he represented the United Kingdom in the finals of the Eurovision Song Contest in Baku, Azerbaijan, where he set a record by being the oldest singer to participate in the competition at the age of 76. His double-CD of duets, “Engelbert Calling,” was released in the United Kingdom by Conehead Records last March 17, 2017 and charted in the UK Top 40. 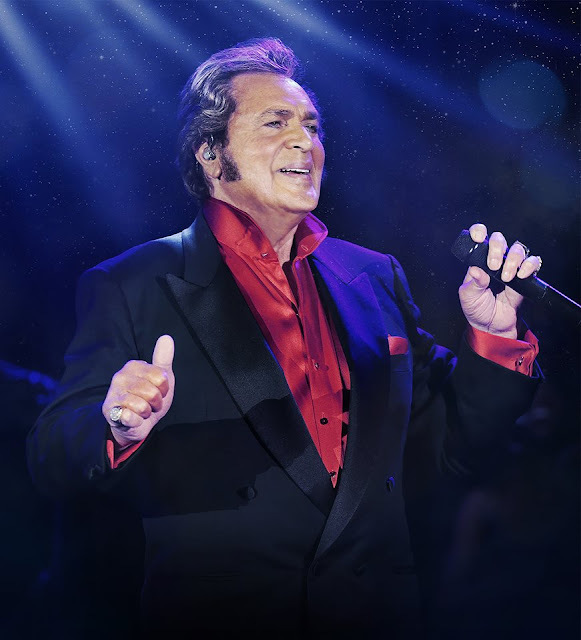 (Engelbert Humperdinck 50th Anniversary Tour” is presented by Ovation Productions. Tickets for the Smart Araneta Coliseum concert available through www.ticketnet.com.ph or call 911-5555. Tickets for the Laus Group Event Centre in San Fernando Pampanga and Alonte Sports Arena in Binan Laguna tickets available through www.smtickets.com or at SM Customer Service).